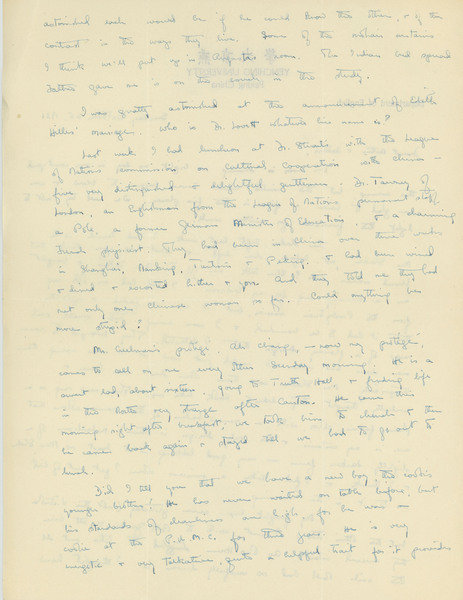 MBS writes to her parents relating gossip from home and daily activities. Also a luncheon she had with the League of Nations Commission on Cultural Cooperation with China. She also has a new domestic servant. She reports that the faculty have generally stopped entertaining and having parties, out of respect for the grave national situation. There is a boycott of Japanese goods. Speer, Margaret Bailey. 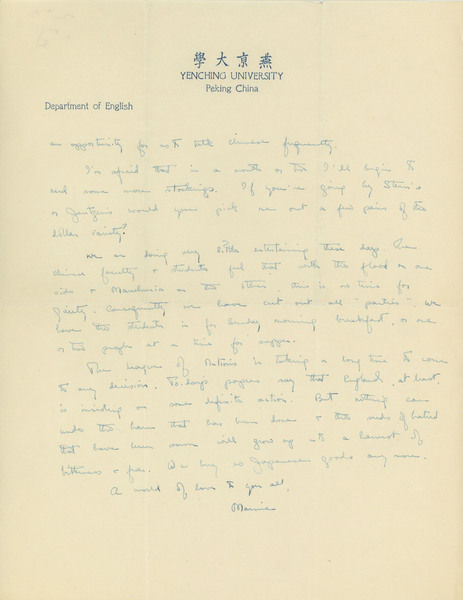 "Letter to Robert Elliott Speer and Emma Bailey Speer, 25 October 1931." Speer Family Papers, Special Collections Department, Bryn Mawr College Library. 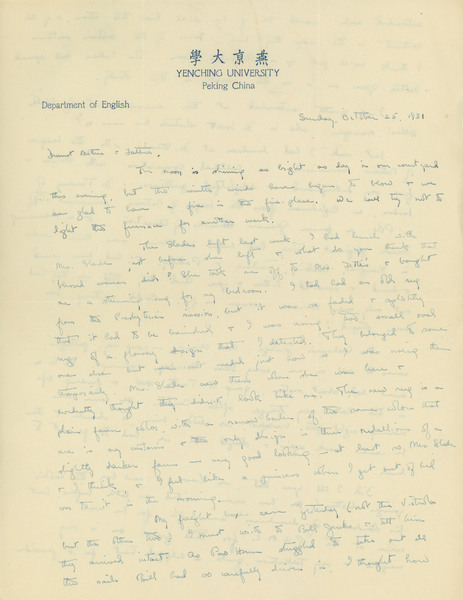 Speer, Margaret Bailey, “Letter to Robert Elliott Speer and Emma Bailey Speer, 25 October 1931,” The Albert M. Greenfield Digital Center for the History of Women's Education, accessed April 24, 2019, http://greenfield.brynmawr.edu/items/show/588.